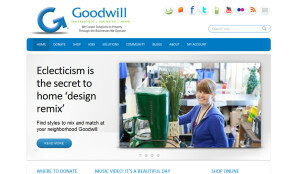 Mr. JD Lasica of SocialBrite contacted us for assistance in redesigning the website for SF Goodwill. 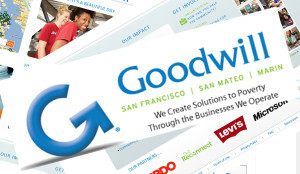 Goodwill Industries of San Francisco, San Mateo and Marin Counties is one of more than 160 autonomous not-for-profit nonsectarian Goodwill organizations affiliated with Goodwill Industries International. 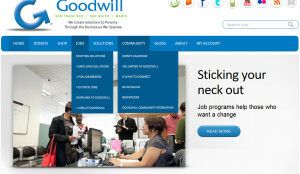 SF Goodwill came to DCGWS Internet Solution with a need for development of their old site. DCGWS redeveloped the organization’s website including the plug-in development, website maintenance, and server administration. 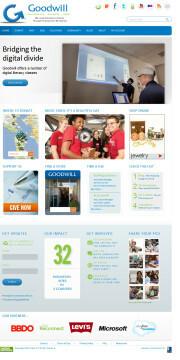 DCGWS team started completing website planning phase to determine the needs of the SF Goodwill. Once fully planned out, DCGWS Team took on the project, and started to do plug-in development such as “Community” and “Jobs” plug-ins, wordpress development/ customization, E bay product widget and lead PHP developer. The re-launch website was far more effective in turning regular visitors into would-be bone marrow and monetary donors. In 2010 more than 4,200 people experienced a transformation they never dreamed possible: they were given the skills and guidance to start their own journey on the pathway out of poverty.